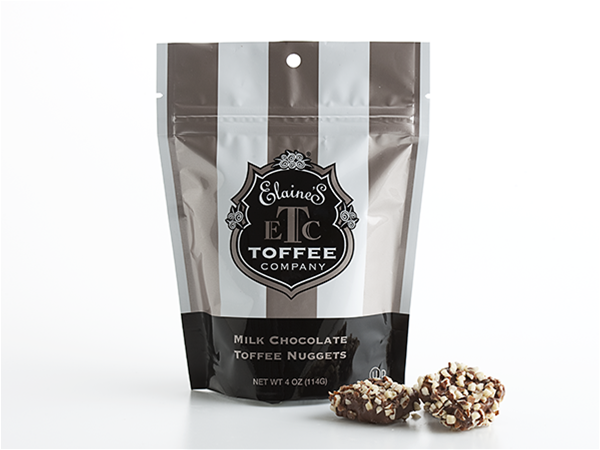 Our Toffee Nuggets are bite size portions of our buttery, perfectly crunchy almond toffee. They are covered in milk chocolate and are covered with toasted almonds. Each 4 oz. bag can be resealed to help retain freshness – that is if you don’t eat all of the nuggets at one time. 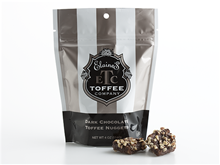 These delectable morsels of toffee are better than gold. Dark Chocolate Almond Gift Box 1 lb.